Every leap year features an extra day added to the end of February, giving February 29 days instead of the usual 28. This bonus day happens because there aren’t actually 365 days in a year, but rather 365.242190 days. To compensate for this extra time, an extra day needs to be added approximately every four years. If you’re born on February 29, you’re known as a “leaper” or a “leapling.” Around 4 million people in the world have been born on February 29. Leap year babies celebrate their original birthday only once every four years. The chances of having a leap birthday are one in 1,461. The Honor Society of Leap Year Day Babies is a club for people born on February 29. More than 10,000 people worldwide are members. February 29 became the official leap day because of the ancient Romans, who added this extra day to the Roman calendar used during the Roman Empire. Roman emperor Julius Caesar also incorporated the leap year into the calendar he created, known as the Julian calendar. In Hong Kong the legal birthday of a leapling is March 1 and in New Zealand it is February 28. In Taiwan, married daughters return home on leap month because it is believed that lunar month can bring bad health to parents. Greeks believe getting married on a leap year will only bring bad luck. However, other cultures like Great Britain and Ireland believe a leap year is the time when women should ask men to get married instead of the usual custom of men asking women. 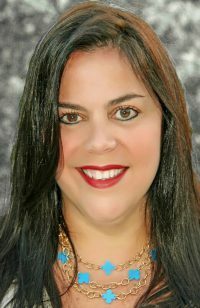 The frog is the symbol associated with February 29. Leap year is also called known as St. Oswald’s Day, named after the Archbishop of York who died on February 29. Head to Anthony, Texas, or Anthony, New Mexico. Both claim the title of “Leap Year Capital of the World.” To celebrate the leap year, the town in Texas holds a large festival that features square dancing, fun events, and activities on a nearby farm, and it even offers a tour through an Aztec cave. Astrologers believed children born on leap year have unusual talent, unique personalities and even special powers. So, what are your thoughts on Leap Day, do you celebrate this day in any special way? Were you born on February 29? I’d love to hear. I’ve always been fascinated with leap year and I loved reading all the trivia and learning more about leap year/day. I don’t personally know anyone who was born on leap day. I really enjoyed learning a little more about the day. I am glad, though, that I wasn’t born on Leap Day! I love reading about the history of things like this! The leap year is such a cool thing. I’m teaching my daughters how many days are in each month, but explaining the leap year thing is a bit complicated for them lol! Great facts! I tried to convince my daughter that she had to leap everyone on Leap Day. She wasn’t buying the silliness! 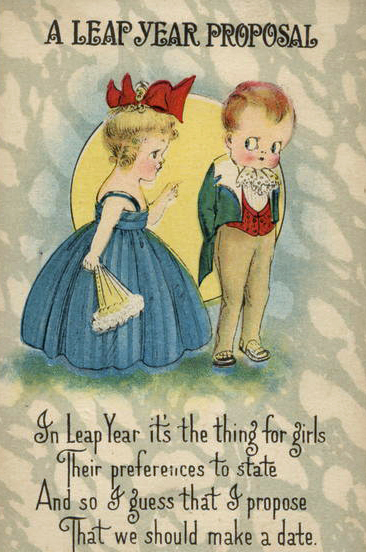 How sad to be born on a Leap Year. I never thought about this. I didn’t know people born on leap day were known as “Leaplings!” That’s really cool! I wonder if I know any Leaplings, hmm. Wow, there is a lot I didn’t know about Leap Day! It’s kind of cool that Leap Day babies have their own honor society. Great facts! I love that in Britain and Ireland the ladies has the men to get married on leap year. I love to hear about fun customs around the world. This is the first leap year my kids are old enough to really understand leap year and they have been asking lots of questions. They are going to love all these facts! Leap year is so cool. I don’t think it would be fun to be born on a Leap year though. I enjoyed reading your leap day trivia. It would really be special if you are born on this day. What a coincidence that I came across this post…my students were asking me about Leap Year and had a ton of questions of about it. I turned it into a mini research project for them! Such fun Leap Year facts! I was always jealous of my friends that had a Leap Year birthday. It always seemed like they were blessed with something super special! In fact, we didn’t celebrate Leap Day in our home, but I would love to. I like how you celebrate it. Interesting collection of Leap Day trivia. I would love to visit the Leap Day capitals. They both sound so fun! It looks like leap year is celebrated world wide! I wonder how many engagements happened yesterday? I have a friend who was born on Leap Year. I never knew they had a society for babies born on that day. That’s pretty cool! I love random trivia and this was a good one. I wasn’t familiar with a lot of these customs. We did a little pre celebrating in my office. 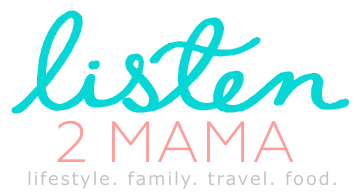 I decorated the place up and shared it on the blog. This awesome list of Leap Year trivia is fantastic! Love reading about them and understanding the traditions being practiced! Thanks for sharing! I laughed a lot at the term ‘leapling’, it reminds me of tadpoles! Which I guess is fittting if the frog is the symbol! Wow so much to learn from your post things I never even thought of or considered. How interesting! I love learning trivia like this. Leap Day is a definitely a special day for many. This is such a great information about Leap year & the facts are really interesting to read. The leap day is so special in our family as my elder brother was born on this day & this year was so much fun too. 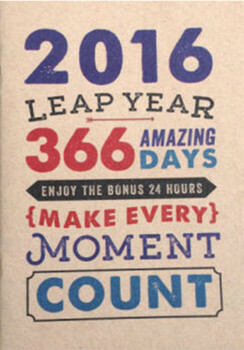 I’ve never celebrated leap year before but I think it would be fun to in the future. I never knew all of this about leap year, I just thought of it as another day, lol. Wow! These are some pretty neat facts!!! I didn’t know most of them! These are some really cool fact about leap year. I’ve always wondered about those born on the 29th. My daughter will enjoys learning these fun facts. Leap year is so cool. I enjoyed reading your leap day trivia. Interesting collection of Leap Day trivia! I really enjoyed learning more about the day. I wonder if I know any Leaplings, hmm.